A MAN WHO shared an audio recording of a hate preacher’s speech justifying the 2015 terror attacks in Paris has today been jailed for four and a half years. Taha Hussain shared a link to the speech on WhatsApp and also used the app Telegram to share an article which offered advice to fighters who could not travel abroad to “kill the kuffar [unbeliever] in their own country”. Hussain, from Slough near London, was found guilty on 31 July at the Old Bailey of seven terrorism offences and sentenced at Kingston Crown Court on 21 September. All the counts relate to links or files he sent to others, using WhatsApp and Telegram, which glorified acts of terrorism. He was found not guilty of three other counts. Deborah Walsh from the Crown Prosecution Service said: “The CPS case against Hussain was that he sent the material knowing it would be understood by its recipients as a direct or indirect encouragement to the commission, instigation or preparation of acts of terrorism. He was recklessly providing a service to others that enabled them have access to publications that promoted violence and even gave advice on ways to kill people. 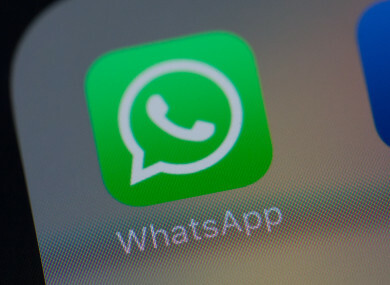 Email “Man gets four and a half years in prison for sending extremist material on WhatsApp”. Feedback on “Man gets four and a half years in prison for sending extremist material on WhatsApp”.